Zebra Ribbon - ZXP Series 8 Ribbon I Series YMC Ribbon, 800 Images/roll. 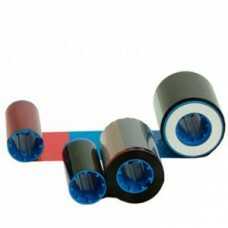 This ribbons consist of yellow (Y), magenta (M), and cyan (C) panels for printing full color on the front. The ribbon is used to print full color text and images on one or both sides of a card. This ribbon is compatible with the ZXP Series 8 Printer.